Welcome back to Forensic Friday! 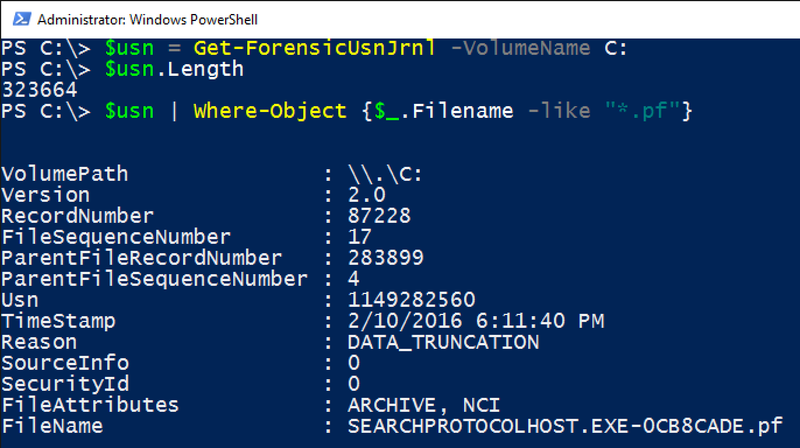 This week I want to highlight the Get-ForensicUsnJrnl cmdlet, which parses the $UsnJrnl file or NTFS change journal.The UsnJrnl is responsible for keeping track of file system operations such as file creation, deletion, and truncation. During an investigation I highly recommend inspecting the $UsnJrnl as it provides extremely detailed context about what has transpired on the file system. 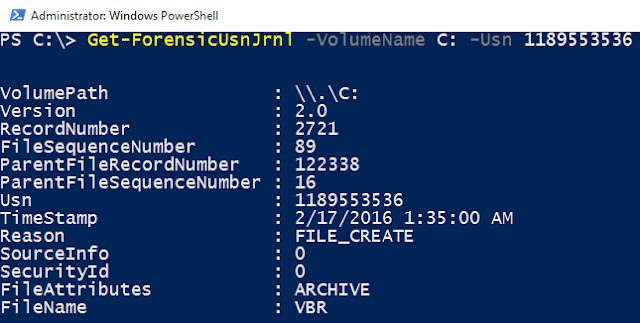 For example, this is especially helpful in providing details about a deleted and otherwise unrecoverable file. 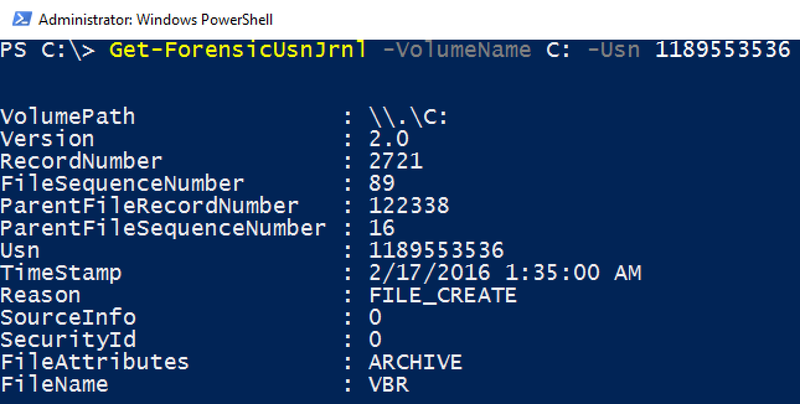 By default, this cmdlet parses the $UsnJrnl file (\$Extend\$UsnJrnl) on the system’s C: volume, but can be pointed at any logical volume. An exported $UsnJrnl file can be parsed using the -Path parameter in order to perform offline analysis. I’ve listed a few examples below. 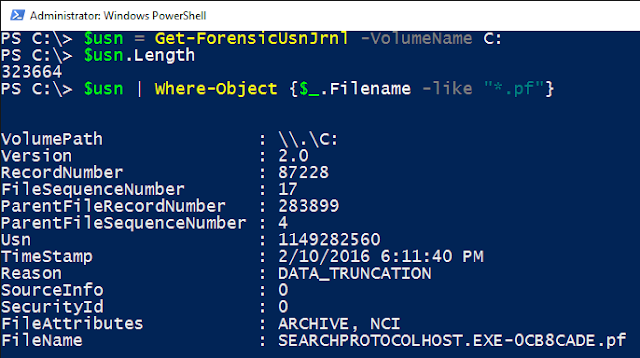 The -Usn parameter tells Get-ForensicUsnJrnl to parse and return a single entry.